Blog Why Did I Have My Heart Broken Again? Why Did I Have My Heart Broken Again? 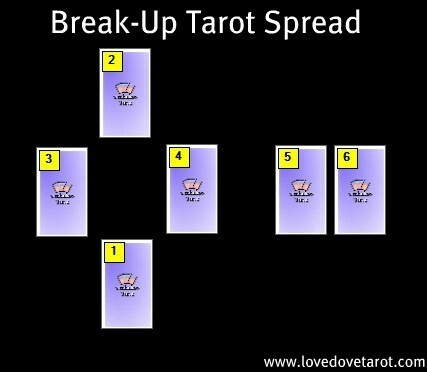 One of the most common questions I get as a love and relationship Tarot reader after a break-up is “Why did this have to happen?” This is a question born from the pain of a heart that is tired of breaking. The question prompts me to look for a repetitive pattern with the client (there usually is), so I pull a card or two for the underlying reason. I also want to know if there is a karmic/higher reason for this particular relationship lesson (separate card). Then I look at the best way to move on and to heal the heart. Not everyone needs to grieve in a mountain cave for a year before they can have a happy healthy date with someone new! That said, there is no way around the pain… we all have to move through it. “What’s in store?” is the next thing someone who has their heart broken usually wants to know. The pain is often caused by the massive vacuum created by the other person taking their love away. Rather than looking to fill this vacuum with self-love (which is entirely possible and a very healthy approach), many people look for a quick fix and a replacement for the love they’ve lost. There is no judgment coming from me about the latter, by the way. There is some truth to the saying, “Sometimes you have to get under someone new to get over someone old.” Although perhaps not ideal, we live in a world with very few absolutes and with a huge need to compromise in order to just survive at times. The main problem with getting under someone new before we’re over someone old is that it can make things messier and draw out the healing process. 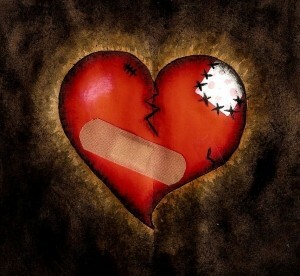 I do not underestimate the emotional pain a break-up can cause. Nor do I scoff at a person’s need to know what might be the next step on the path to relationship happiness. Sometimes we just need a bit of good news to help us take that next wobbly step on a path strewn with break-up debris. Occasionally gazing at the bright star further along makes it easier to get on with the sweeping.